In the Morning, Afternoon, Evening, or Online. At seven different locations in four counties as well as online. The following GED Prep locations will only run a full semester schedule: Blackburn, Fellsmere, SLDC, Okeechobee, and Online. 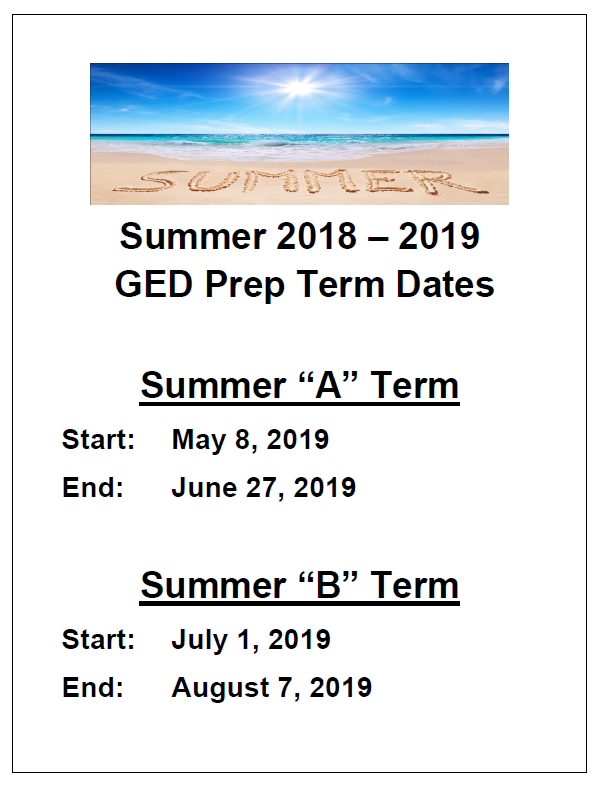 All other GED Prep locations will run a Term A & B schedule. Be officially withdrawn from a regular high school program. Schedule a diagnostic and placement assessment (TABE). Register for courses with a facilitator. Complete an IRSC Non Credit application. Make plans to attend ALL classes. For online classes, please click on the following link: Online Classes. Start preparing for your career pathway, and earn your high school diploma with our GED® preparation CLASSES. No matter when you left school, IRSC can get you off to a successful career pathway start. You can proceed with the help of teachers who care about you. First, your skills will be evaluated to ensure that you begin at the place that's best for you. Then you will concentrate on improving your reading, writing, and math skills to help you on-the-job and in your personal life. As you get closer to taking the GED® exam, you will also take classes in social studies, science, grammar and essay writing. You will also have the opportunity to take the official GED® Practice Test. With just the right preparation, you'll be ready to take the GED® exam and successfully earn your high school diploma! State regulations require a semester fee for Adult Education classes. This includes GED® Prep, and ESL classes. The semester fee of $30 covers all Adult Education classes taken during the semester.